Most of the site text content, with the exception of articles, terms and conditions, and other info pages which can be changed in Content > Info pages, can be edited in section Content > Languages in administration panel (/admin/languages/langs). The language that is set as default opens in the user interface when the visitors access the site for the first time. To create a new language, click ‘Add language’ button. You will be able to indicate name, code, and text direction of the new language version. For the code, follow the ISO 639-1 guidelines. Important: When you are adding a new language, the default language is used as the baseline. Please make sure that the language that is set to default in your dating website contains all the words and phrases that you require for the new language. The same applies to when you want to install a new add-on or update an existing language. Contact us if you have any questions or require assistance. Click ‘Save’ to apply the changes. Strings of the default language (English as seen in the previous screenshot) will be copied into the new language (Arabic) in the database. The new language will be inactive so that you can do proper translation. There are several ways to do the translation. Click ‘Edit string’ to open the editor. Option 2, download all language files as an archive to do the translation offline or to order translation. 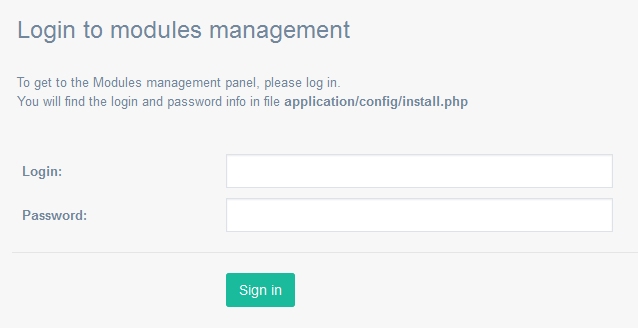 First of all, you will need to go to admin panel > Modules > Modules management (/admin/start/mod_login). It will require login and password that you can collect from file /application/config/install.php. Once inside, go to Languages (/admin/install/langs) and click ‘Export’ to download the ZIP archive with the language files that you want to translate (Arabic). Decompress the archive, then open lang_install > application > modules > module_name > langs > lang_code. Example: lang_install > application > modules > ausers > langs > ar. Inside you will find PHP files that actually contain the words and phrases. Make sure that you only translate what comes after = ” (marked bold in the example below), no need to translate anything else. After you are done here, copy the application folder or its contents, whichever you find more convenient, onto your server and click update icon next to the translated language to apply the changes. 1. /langs directory in the root directory contains languages settings for the installation. 2. Language files that are used during installation are kept in /application/modules/module_name/langs. Inside, among other files, you will find pages.php (page text) and ds.php (lists content). The rest of the files names speak for themselves (e.g. menu.php). 3. During installation, all languages data is added into database (pg_lang_ds, pg_lang_pages). pg_languages table contains information about all languages installed in the system. It is possible to save languages files in PHP or XML files. In this case all installed languages will be kept in directory /application/languages/php or /application/languages/xml. 4. If you create a new language from administrator panel (as described above), the data will be only saved in the database. 5. In languages management section under Modules installation > Languages (/admin/install/langs) you will see a merged list of languages from /langs directory – every language that has been installed or can yet be installed – plus every language from the database. Let’s say we have created a language from administrator panel. Now we want to download its files and import them into another Dating Pro based site. Click ‘Export’ to download the archive. Next, you upload the extracted files into destination server, then go back to Modules installation > Languages (/admin/install/langs) and install it. The same procedure applies to language files updates.